It’s that time of year again… yes, suddenly, after a winter of stillness, everything in the fields and gardens is growing like mad. This is great for farmers and gardeners, but actually not so good for our pavements, which are currently suffering their annual ‘vegetation encroachment’, as it’s known. Basically, this is when field edges start to spread and spread, sometimes covering the whole pavement. It is mostly the rural and less well-used pavements that suffer the most of course. Mud splashed onto them contains seeds which just start to germinate – and bingo! You may wonder – who cares? Well, the problem is it reduces the width of pavements to such an extent that they are no longer wide enough for pushchairs, buggys and disabled wheelchairs… meaning such items have to be pushed along the road itself, which is clearly dangerous. In our area, Draycott Parish Council has taken responsibility for keeping public spaces tidy and shipshape and, up until only a month ago, had a grant to enable it to do just that. It even set aside £400 earlier this year to hire someone to clear mud & vegetation-encroachment off the pavement between the Draycott Arms and Totmonslow (though it’s not clear if that work has been carried out yet). Certainly, so far, the council has struggled to keep the pavements growth free, as our pictures point out. A couple of months ago, we reported on the news that huge deposits of illegal waste had been dumped on local farmers’ fields here in Draycott. The big question is: where do the gangs keep this waste while they are waiting for an opportunity to dump it? It seems they often store it secretively in large barns or warehouses until they have enough to make a truckload run worth their while. 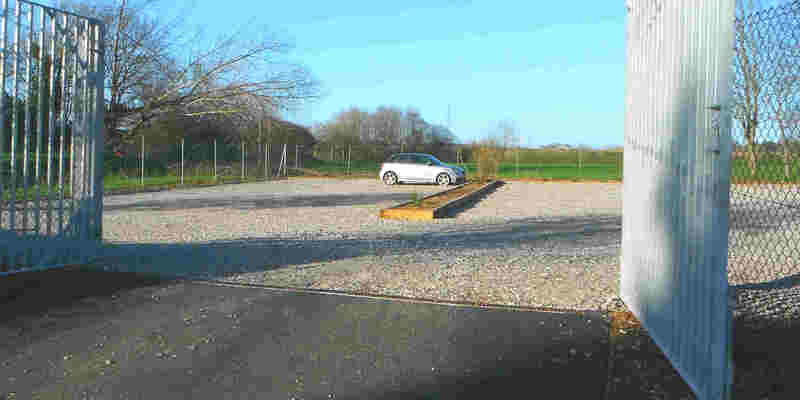 One piece of good news for residents in Draycott Old Road is that the long-awaited car park for Draycott College (see pic) is now finally completed (though much behind schedule) and seems to be working well. Up till recently, the residents in the road were complaining loudly that parking by staff and workers at the college was swamping ‘their’ street. All should be well now…. hopefully. Finally – don’t forget… before the Big Election on June 8th, we still have the small matter of the county council elections. Here in Draycott & Cresswell & Totmonslow we are part of the Cheadle & Checkley ward, and we have the chance this week to vote in one county councillor to represent us. See the list of candidates. The local community action group, VVSM, thought it would be a good thing to get the candidates’ views on important local issues, such as planning developments, highways and so on. Not all the candidates responded, but most did – see what the candidates had to say by clicking here. Voting day is this Thursday (May 4th).